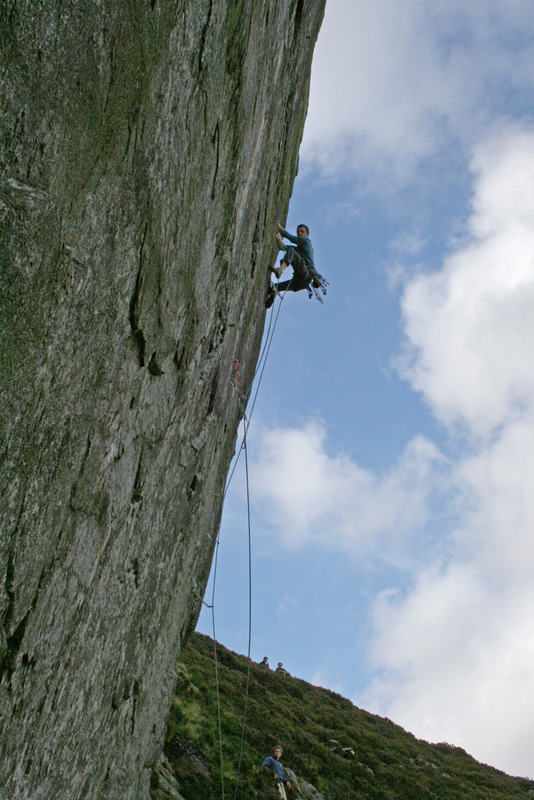 This is a photo of me climbing Heart of Stone (E7 6b) back in 2007 (Taken by Tim Neill). Heart of Stone is, I think, the best mountain E7 in Wales. 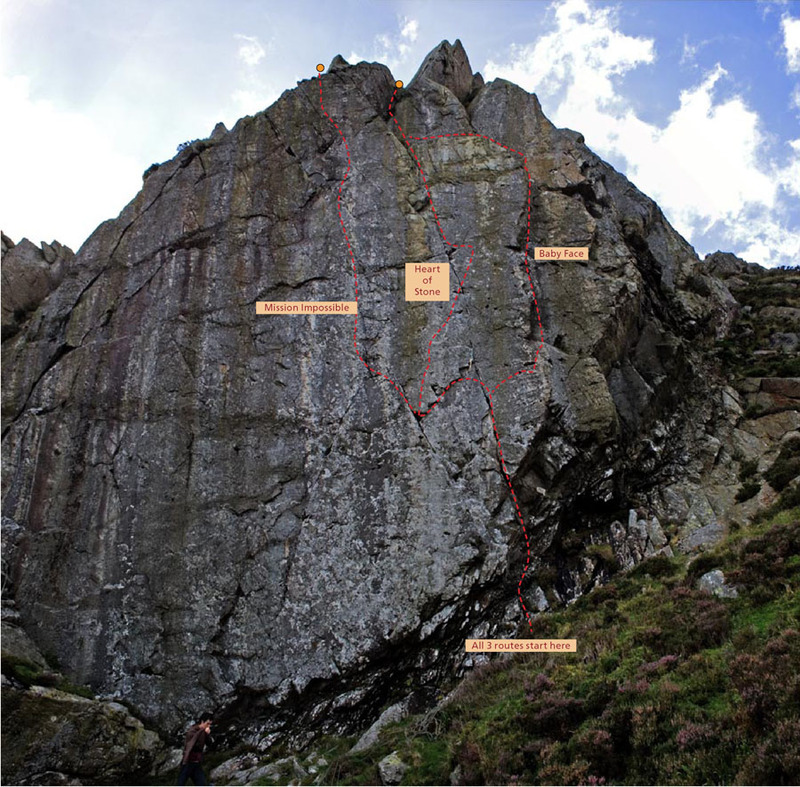 It takes a stunning crack-line and series of pockets up the wall just to the right of Mission Impossible, on the Skyline Buttress, Gallt yr Ogof, Ogwen. 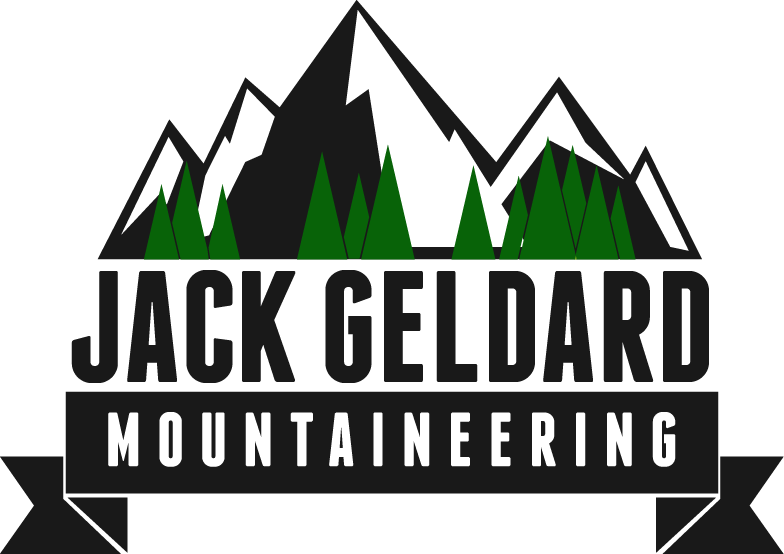 It is extremely well protected, in the F7b+/7c range of difficulty, and very, very steep and strenuous. I can’t recommend it enough – very onsightable, especially now it is once again clean. Mission starts in the same place, but breaks out left and fires up the centre of the wall (topo below).